A couple undergoing infertility treatments in India usually shell out something in the range of Rs.2 lakhs to Rs.10 lakhs. IVF cost or infertility treatment costs in India are exorbitant and a big hurdle to cross for the couples. This article provides information on ways to manage IVF cost thus making is affordable. Riya and Sharan, the parents of a five-year-old Rashi, had once lost all hopes of having their child. After trying for eight years, they had given up conceiving naturally, and adoption was the last hope for them. Though, the couple was ready for adoption but somehow the desire of feeling the baby inside her kept disturbing Riya . Then they came to know about miraculous success rate of IVF treatment. Soon they began treatment and after a long infertility journey of diagnosis and tests, Riya got pregnant and gave birth to Rashi. In-vitro fertilization or IVF is a ray of hope for couples like Riya and Sharan, who have issues with natural conception. IVF is a technique where the life is seeded in lab and thereafter transferred into mother’s the womb. Although the IVF success rate depends on various factors, this technology is bringing joy in the lives of many childless couples and single parents. Recently, Bollywood star Tusshar Kapoor, who is unmarried, grabbed newspaper headlines when he announced his fatherhood through an IVF. He became the latest in a line of Bollywood celebrities— after other film stars like Aamir Khan and Shahrukh Khan— to have achieved parenthood through IVF and surrogacy. On the one hand, where IVF has become a boon for childless couples, there is a major constraint which is keeping people away from it and, that is ‘Cost’. The treatment costs of this artificial reproduction technique is very high and most of the time, out of reach for a common man. Usually, the high cost stems from expensive medicines, costly investigation procedures, high medical equipment costs and their maintenance. According to media reports, a single vial of donor sperms usually varies between Rs 2000 and Rs 5000, though it may escalate as per the qualifications of the donor. A donor with engineering or medical degree gets a high price for vial than a person with ordinary qualification. Moreover, the Indian Council of Medical Research has made it mandatory that all sperm banks should do test samples for hypertension, HIV and other sexually transmitted diseases, hepatitis B and C, diabetes, and identifiable and common genetic disorders. The tests have further increased the price of the vial. It is very disheartening to see that around 20% of married couples in India are facing the infertility issues and need medical assistance for a successful childbearing. However, the exorbitant cost is stopping them from doing it. Most importantly, infertility problem is prevalent in all segments of the society. For an individual who is already going through an emotional trauma due to infertility issue, the money issue only worsens the situation. 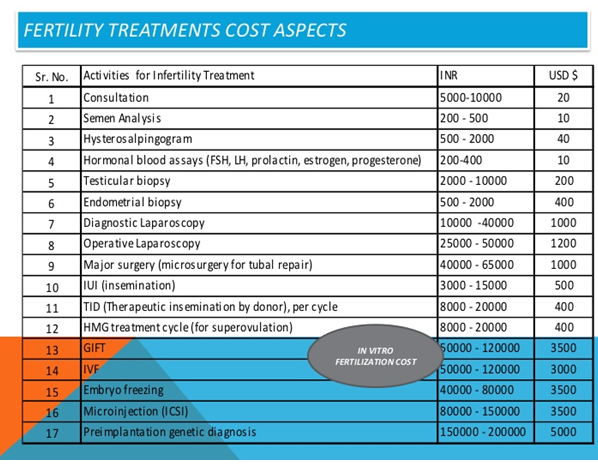 How To Manage IVF Cost? As they say, ‘where there’s a will, there’s a way,’ I will be telling you some ways to through which IVF can be made affordable. Let’s make IVF cost-effective and spread happiness. In a bid to curtail the cost of infertility treatment and make it accessible, the public trust Nowrosjee Wadia Maternity Hospital has opened a new IVF center, “Wadia Assisted Reproduction Technology Centre” in Mumbai, Maharashtra. Inaugurated by Maharashtra Health Minister Deepak Sawant, it is the first public trust hospital opened in the state where the IVF treatment is done at half the rates. Have you ever heard about child loan? HSBC in association with Genomee, a fertility clinic, is providing a ‘My Terms’ credit personal loan to couples who want to have a child. This loan comes with 14% interest rate and easy repayment options over one to five years. Considering the high cost of infertility treatment, Bhartiya Mahila Bank (BMB) and New India Assurance has jointly launched insurance for infertility treatment. The sum assured is between Rs 1 lakhs and Rs 5 lakhs and is offered only to bank account holders. Bajaj Finance has decided to enter the life care segment to finance expenses for IVF, stem cells, cosmetic based hair treatment, dental and eye care along with a dozen other diseases. The Pune-based company is expected to generate around Rs 1000 crore sales over the next five years. The company’s service is already available in Mumbai, Delhi, and Bengaluru and over the next three months, it is expected to enter Kolkata. The company has already entered into agreements with Mydentist, Cloud Nine, Grant Medical Foundation, Clove, Centre for Sight, EyeQ, Manipal Hospitals, Centre for Obesity & Digestive Surgery, Apollo Spectra, Ruby Hall Clinic and Enhance. The CRAFT Hospital & Research Centre has designed a programme called ‘Craft-IVF Suraksha Scheme to finance the IVF treatment costs. By paying Rs 2.5 lakhs, you can get a series of treatment, including two IVF – ICSI, three to five frozen embryo transfers, blastocyst transfer, assisted hatching and freezing of extra embryos. Usually, a patient spends approximately Rs 15 lakhs to get these medical services, but under Suraksha Scheme, he only needs to pay Rs 2.5 lakhs. In case, these treatments don’t work, then the entire amount will be refunded. One can also take a personal loan to finance treatment cost. As personal loan can be used for any purpose and one doesn’t need to tell the purpose of its use to the lender. It is of great help for childless couples planning for IVF but constrained by money. If you are connected with Army then you can avail benefits of specialized ART centre (Artificial Reproductive Technology) in Army hospitals located at Delhi, Pune, and Mumbai etc. Here, the complete treatment is free of cost. However, there are some protocols that one should fulfill. At last, you can approach your family or relative for monetary help. Also, if you have some assets like farmland, home, etc. ; you can think about selling them also. Though it is never recommended to sell your assets, if you can manage without them, take a plunge. Currently, health insurance policies in India do not cover infertility treatment. Therefore, all the above steps are useful to curtail the cost of treatment and reduce the financial burden. The arrival of a baby one of the beautiful gifts of God which fills life with abundant happiness. It will be wrong to keep someone away from this happiness just because of financial constraints. I hope the measures given above will help to manage IVF cost. You must keep yourself aware for every day new health schemes are announced and seize such an opportunity immediately. 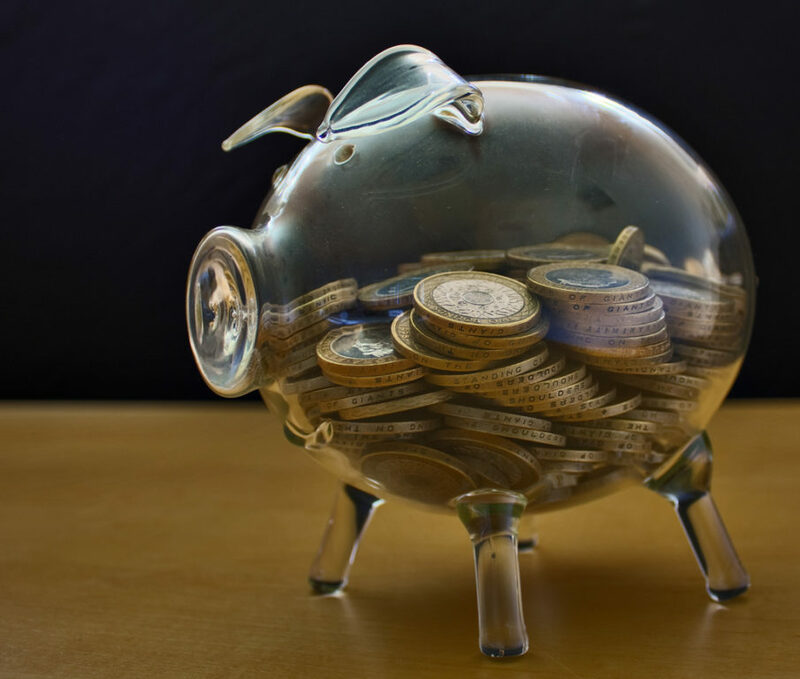 Reena Dhiman is a finance writer who has been writing in this space for over five years. 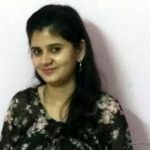 She has also done guest blogging for publications like The Financial Express, The Business Insider, SiliconIndia, etc. She earlier worked for PolicyBazaar. Thank you for sharing such a great article with us. There are many fertility centres to cure infertility worldwide as well as in India. Very nice information, liked your blog. There are many treatments going in medical world to cure infertility. Apart from this for a healthy and mental peace one should involve yoga and meditation, as such treatments can take time and one can feel lonely and depressed many times.